Cranberry sauce has become a requisite part of the Thanksgiving table. This is appropriate because cranberries were present at the Pilgrims' first thanksgiving. At that time, they were called "crane berries" because cranes feasted on them in the bogs of New England. The Native Americans knew of the cranberry's potential and used them as a salve on wounds. This trick probably worked, too, because we know today that cranberries have a way with bacteria. The cranberry has proven to be many womens' best friend. 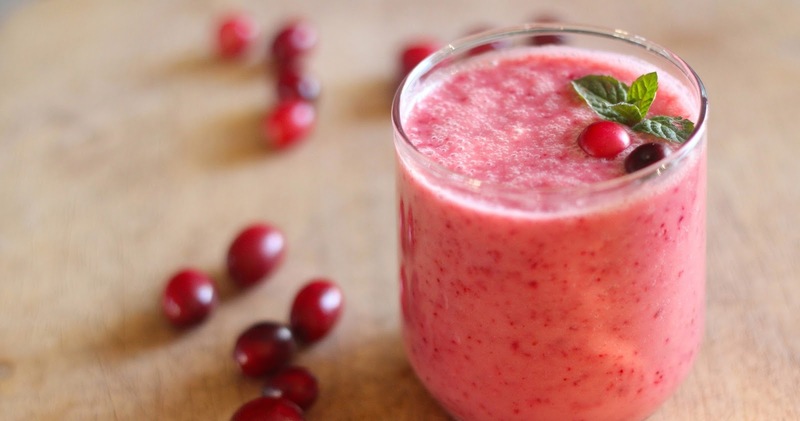 Studies have shown that consuming cranberries helps treat and prevent the reoccurrence of a urinary tract infection (UTI), also known as cystitis, bladder infection, and painful bladder syndrome. UTIs are infections of the kidney, bladder, and urethra. While men get UTIs, as well, women make up the majority of sufferers. One in five women will develop a urinary tract infection during her lifetime. Harvard Medical School conducted a study in 1994 which showed that women who drank 10 ounces of cranberry juice on a daily basis were 58 percent less likely to have UTIs. No one really knows how cranberries work their magic. What is known is that cranberries fight UTIs by preventing infectious bacteria that cause UTIs (the most common of which is E. coli) from sticking to the cells that line the walls of the bladder and urinary tract. Cranberry is actually listed in the U.S. Pharmacopeia—the official listing of drugs in the U.S.—as an effective treatment for UTIs. There are no drug interactions, side effects, or physical dangers of ingesting cranberries (unless, of course, you are allergic). 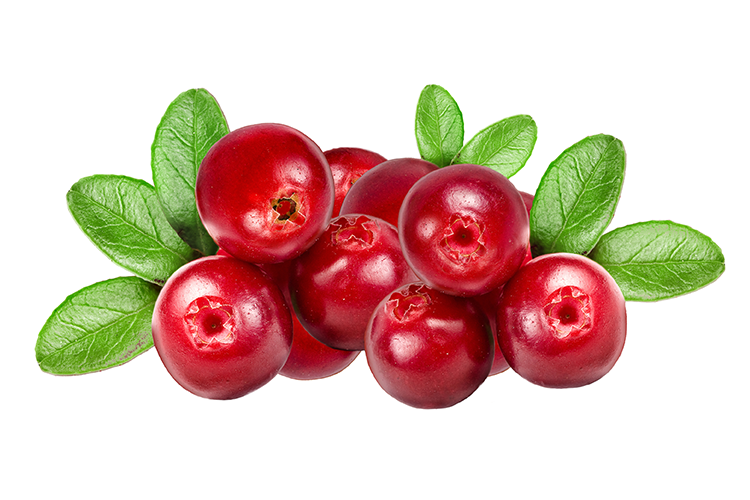 Please be aware that once a urinary tract infection has taken hold, cranberries help but they cannot kill the bacteria. If you feel you may have a UTI (the most obvious symptoms being the constant need to urinate and painful urination), please see a health professional. Like other fruits and vegetables that are brightly colored, cranberries are believed to be helpful in the fight against cancer. They contain compounds called anthocyanins and proanthocyanins, which are powerful antioxidants. Folk remedies dating back to Colonial days called upon cranberries to treat an array of ailments, such as stomach and liver problems, gallbladder attacks, nausea, appetite loss, scurvy, blood disorders, and—even then—cancer. • Healthy gums. In the same way that they prevent bacteria from adhering to the bladder, cranberries also are believed to keep it off gums, thereby preventing plaque buildup. • Preventing ulcers. 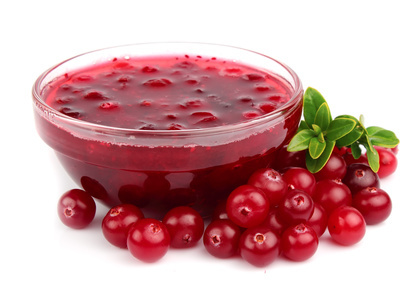 Cranberries can fight off bacteria attempting to attach itself to the stomach lining (which can lead to ulcers). • Reduction of LDL, or "bad," cholesterol by inhibiting cholesterol oxidation. • Treating and preventing reoccurrences of yeast infections. Whole cranberries are the best form to consume to reap all these health benefits; however, finding a way to eat whole cranberries on a regular basis (or even a substantial amount in one shot) may not be realistic. Drinking cranberry juice is a good way to incorporate them into your diet. (Drink 2 cups a day, if you tend to have UTIs.) Although cranberry juice cocktail is helpful, it is watered down and loaded with sugar. Straight cranberry juice is best. Unfortunately, it is also extremely tart, so go for the cranberry-apple or other fruit combinations available on the market, preferably organic. Capsules are more potent than juice, so if you are prone to UTIs, a daily supplement is a good idea—1 capsule 2 to 3 times daily is average. Cranberries should be firm with smooth skin, not wrinkly, mushy, or easily popped. They should be bright red, not pale or mottled. Or, in the case of white cranberries, they should be a creamy white, often with a reddish/pinkish blush. Below are a couple of recipes using whole cranberries, but in the interest of getting a useful dose of cranberry on a regular basis, I've included several recipes that call for cranberry juice. Make a batch and throw it in the refrigerator. That way, you'll have a blast of cranberry goodness ready to go any time you want. Enjoy! Plump the cranberries in the wine for about 20 minutes. Drain the cranberries and reserve the liquid. Make brown rice: To make the brown rice, sweat the onions in the reserved cranberry liquid until the onions are translucent. Add the brown rice and stock. Bring the liquid to a boil and cover the pot tightly. Cook in a 350 deg. F (175 deg. C) oven until the rice is tender and has absorbed all the liquid, about 40 minutes. Make wild rice: To prepare the wild rice, bring the apple cider, stock and wild rice to a boil in a medium sauce pot. cover the pot tightly, and cook in a 350 deg. F (175 deg. C) oven until the rice is tender and has absorbed all the liquid, about 90 minutes. Place the unpeeled shallots on a bed of coarse salt in a 375 deg. F (190 deg. C) oven until the exterior is very crisp about 20 minutes. Allow the shallots to cool. Remove the skin and shred the flesh. Combine both rices and the plumped cranberries. Garnish with the roasted shallots. Combine all ingredients in a 3 quart saucepan. Heat to boiling; simmer until cranberries "pop." Refrigerate. Will keep in refrigerator for 2 weeks. Can be frozen in Freezer Baggies up to 1 year. Combine first 4 ingredients in a 1-quart glass measure. Cover with wax paper, and microwave at HIGH 8 to 20 minutes, stirring every 4 minutes. Let stand, uncovered, 30 minutes. Press cranberry mixture through a sieve, reserving 2 cups juice: discard solids. Combine reserved juice, honey, and orange juice in a 2-quart glass measure, stirring until sugar dissolves, at HIGH 3 to 4 minutes or until heated. Note: To thaw frozen cranberries, place in a 1-quart glass measure. Microwave, uncovered, at HIGH 2 to 3 minutes. Let stand 3 minutes or until thawed. Pour cranberry juice cocktail and orange juice into a glass with ice. Top with club soda. Garnish with orange wedge. Put all ingredients in a blender. Blend for a few seconds on high speed or until ingredients are thoroughly combined. Pour into a large glass. Makes 1 serving.